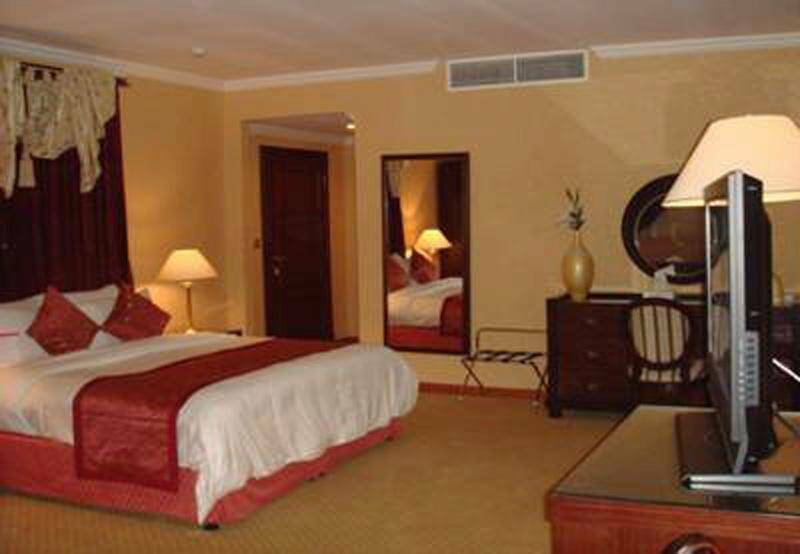 Ramada Continental Jeddah Hotel - Premium Double Room - . Ramada Continental Jeddah Hotel is a three stars hotel subordinate to Ramada Hotel Chain, it is located in Palestine Street, Ar Ruwais District, Downtown Jeddah. It is only a 10-minute drive from the International Exhibition Centre, 3.9 km away from Jeddah Mall, 25-minute drive from Jeddah International Airport. With its unique location, the hotel owns a wonderful design and a comfortable furniture. Ramada Continental Jeddah Hotel features 4 dining outlets. There's a currency exchange service at this property. Enjoy discovering Jeddah City by visiting the important landmarks such as: Haifaa Mall, Musadiyah Market, Prince Sultan College For Tourism Management, Dr. Soliman Fakeeh Hospital, and Ministry Of Hajj. Free WiFi is available in all areas, and free public parking is possible on site to enjoy a comfortable stay. When would you like to stay at Ramada Continental Jeddah Hotel? The suite includes one bedroom with one extra large double bed, and this suite also offers desk, refrigerator, electric kettle, tea/coffee maker, seating area, a separate lounge with overstuffed sofa and armchairs, and there is a private bathroom. It featuring a balcony, and it is with an area of 34 square meters to spend an elegant time. The room offers one large double bed, and this room also offers desk, refrigerator, electric kettle, tea/coffee maker, and there is a private bathroom. It is with an area of 27 square meters to enjoy a pleasant stay. Ramada Continental Jeddah Hotel - Premium Double Room - Ramada Continental Jeddah Hotel - Premium Double Room - Ramada Continental Jeddah Hotel - Premium Double Room - . The room offers two single beds, and this room also offers desk, refrigerator, electric kettle, tea/coffee maker, and there is a private bathroom. It is with an area of 28 square meters to enjoy a comfortable stay. 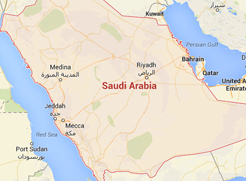 Ramada Continental Jeddah Hotel - Standard Double or Twin Room (2 Adults) - . You can choose your bed in this room, where it offers one extra large double bed, or two single beds, and this room also offers desk, refrigerator, electric kettle, tea/coffee maker, and there is a private bathroom. It featuring a balcony, and it is with an area of 31 square meters to enjoy a pleasant stay. Ramada Continental Jeddah Hotel consists of 13 floors, and contains a convenient units with total number of 288 elegantly decorated rooms and suites, and fully equipped with all sort of services and amenities such as: wardrobe, air conditioning, telephone, flat screen TV with satellite channels, desk, refrigerator, electric kettle, tea/coffee maker, and there is a private bathroom with bath and shower and offer free toiletries, bathrobe and slippers in all units. Moreover, the suites include seating area and a separate lounge with overstuffed sofa and armchairs. The units have these types and sizes: Standard Twin Room, Royal Suite, Executive Suite, Premium Room, Diplomatic Suite, Standard Room, Junior Suite, and Business Suite. - Italian Restaurant - This restaurant specializes in Italian cuisine and serves lunch and dinner. Reservations are required. - Indian Kohinoor Restaurant - This restaurant specializes in Indian cuisine and serves lunch and dinner. - Heritage - This buffet restaurant specializes in international cuisine and serves breakfast, lunch, and dinner. - Guests can relax with the local paper and enjoy light snacks at the on-site coffee shop. &nbsp; - Room service is available for guests comfort. Ramada Continental Jeddah Hotel includes sauna, fitness centre, massage to spend the best times ever. Ramada Continental Jeddah Hotel includes 6 meeting rooms, which can be arranged to accommodate 235 conference guests or 600 banquet guests. There is 24-hour business center.